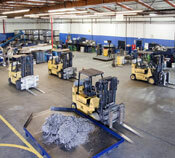 Founded in 1979, Monico Alloys is now over 100 employees strong and is one of the United States' leading importers and exporters of Titanium scrap. Monico Alloys also has years of experience with Nickel Scrap, Cobalt Scrap, Beryllium Scrap, Zirconium Scrap, and other high temperature scrap metal and high temperature alloy scrap. 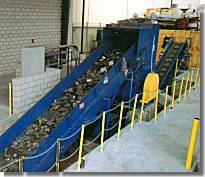 Both Monico Alloys facilities are among the best in the recycling industry. Combined, they cover approximately 100,000 square feet of modern plant. Monico Alloys is a scrap industry leader, but we didn't become a leader by ourselves. We did it by listening to our customers. Approved by almost every major specialty melter, Monico Alloys can guarantee our products will meet strict customer specifications. Monico Alloys has long been recognized as "the symbol of quality" by the customers we serve. At Monico Alloys, we pride ourselves in our business relationships, high quality, customer satisfaction, plant safety, and environmental awareness. We have earned an invaluable reputation in the domestic and international markets for fair dealing and high quality. Perhaps a visit to either one of our scrap processing facilities is necessary to see why Monico Alloys is the right choice as your primary raw material supplier. We'd be delighted to have you tour our facilities and learn more about our High Temperature scrap metal and alloy scrap services.